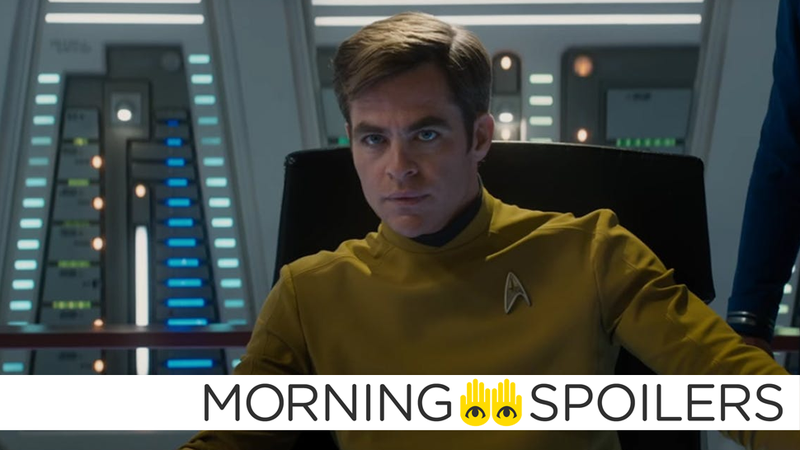 Could Star Trek 4's captain’s chair remain empty? Kevin Feige wants more female-led Marvel movies. Get a few more looks at Halloween, Venom, and The Predator. Plus, behind the scenes on The Nun, more teases for The Walking Dead’s return, and Netflix asks: Whither Daredevil’s Matt Murdock. Engage, Spoilers! I don’t know, I mean I’d love to be involved, and we’ll see what happens and I’ll await the phone call. Until then, I look forward to it. Speaking with Entertainment Weekly, Kevin Feige revealed Marvel plans to announce more female-led superhero movies in the future, after being a mere 21 movies into its cinematic universe. With [Ant-Man and The Wasp] and now with Captain Marvel and many movies to be announced in the near future, I’m anxious for the time where it’s not a novelty that there is a female-led superhero movie, but it is a norm. And it is less a story of, ‘Oh, look, a female hero,’ and it’s more a story of, ‘Oh, what’s this about? Who’s this character? I’m excited to see that.’ And I think we can get there. Deadline reports the toy company Mattel has launched its own film division. Producer Robbie Brenner (The Dallas Buyer’s Club) has been appointed executive producer and will develop films based on popular Mattel brands including Barbie, Hot Wheels and Thomas the Tank Engine. Geeks World Wide reports Zombieland 2 begins filming January 28 in Atlanta, Georgia. The film’s international trailer contains footage not seen in the domestic — including an unmasked Michael Myers from behind. John Carpenter, Jamie Lee Curtis, and David Gordon Green sit down to discuss Halloween 2018 in a new featurette. The latest TV spot emphasizes the importance of cooperating with your alien symbiote. Meet the mercenaries McKenna, Nebraska, Coyle, Lynch, Nettles, and Baxley in the latest TV spot. Then wonder who will be the first to die, and who will be the first to get their own Funko Pop figurine. Demián Bichir and Taissa Farmiga discuss nun-busting in an interview with Syfy Wire. A man on a small, private boat learns he may have picked up a supernatural stowaway from a passing ghost ship in the trailer for...The Boat. Meanwhile, in a completely unrelated but eerily similar indie film premise, an American frontierswoman must decide if she’s up against prairie demons, or if it’s merely the wind, in the trailer for...The Wind. AMC (via Screen Rant) has released a new poster, synopsis and TV spot for season nine. Finally, a new teaser/motion poster for season three of Daredevil asks, “Where’s Matt Murdock?” Psst, he’s in a convent with some nuns.